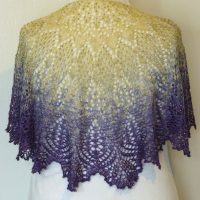 This dazzling Stardust shawl was inspired by the book (and the movie) by Neil Gaiman. 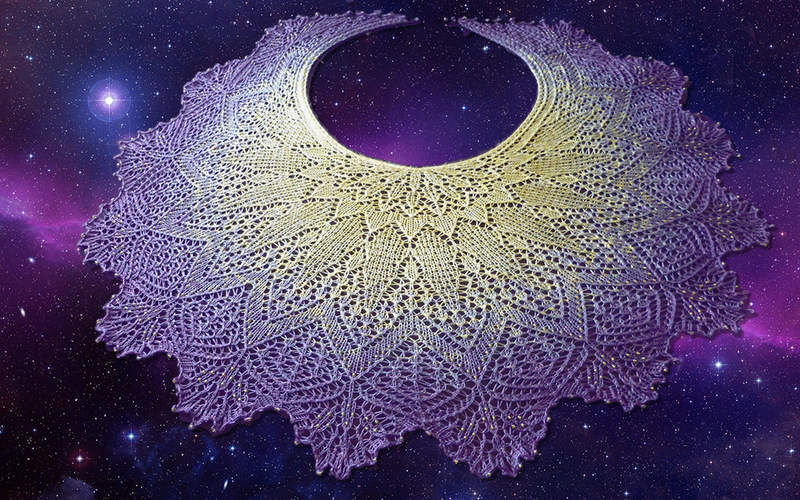 The yarn, pattern, beads all combine to create magic in the night sky. Who wouldn’t want to own their own piece of Stardust? 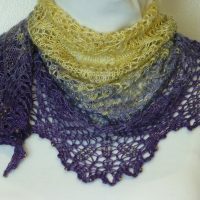 Even with the many, many (did I say many) beads, this Maris Stella shawl pattern was super easy to knit. 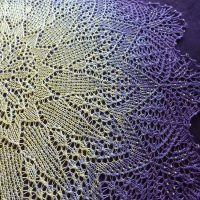 It on the smallish side as shawls go, using only one 437 yard cake of yarn, but fits me perfectly. And it’s purple. We all know how much I love purple. 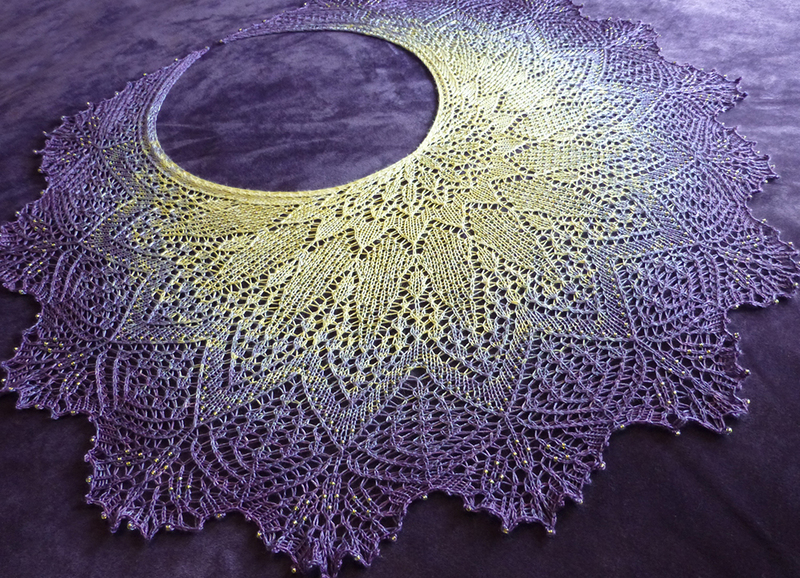 I also cannot get over how beautiful Gobsmacked yarn is. 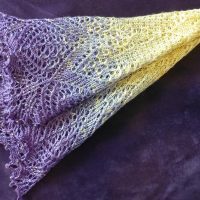 This merino and silk is dream yarn. So soft and squishy. But the colors are what make it amazing in my books. Lots of interesting little flecks of color make up the gradient. 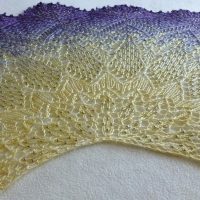 Don’t get me wrong, I’m all for a beautiful smooth gradient yarn, but sometimes you have something that needs a bit more pizzazz. Gobsmacked has just that. Size: One size, Measures 48″ wide by 20″ long. Close up of star pattern. 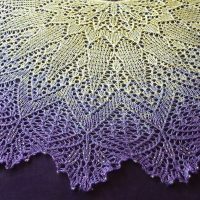 *Special thanks to Anna Victoria (Maris Stella Lace Shawl) for creating such a beautiful pattern and to Gobstopper Yarns for dyeing such beautiful yarns.